Gentle, unperfumed treatment for delicate eye skin during your thirties. Smooth away fine lines, calm puffiness and bring the youthful vitality back to the expressive, tender skin around your eyes. Whether it’s too much emotion or too little sleep, your eyes can show how you feel. 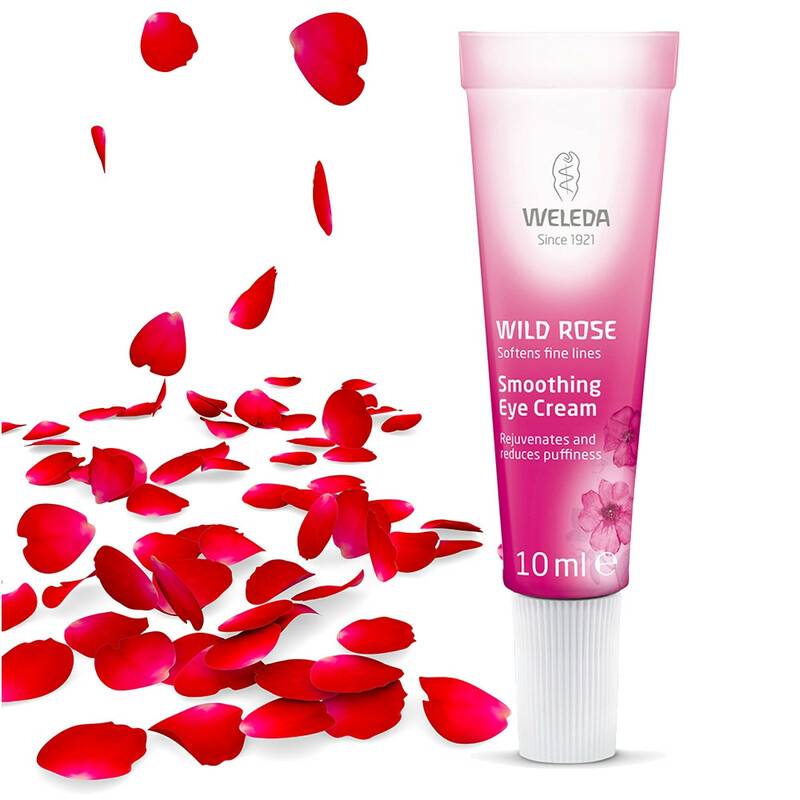 Wild Rose Smoothing Eye Cream includes time-honoured eyebright to soothe tired or irritated eyes, while organic musk rose seed oil has the special benefit of containing unsaturated fatty acids, perfectly suited to delicate skin, and helping to build up the hydrolipid mantle. The cream calms puffiness, softens first laugh lines and smoothes away dryness. Usage: Morning and/or evening spread a pea-sized quantity of the cream on the tips of the middle and ring fingers. Beginning at the outside of the eye, gently pat the cream under the eye towards the nose, then over the eyelid from the nose outwards. Ingredients: Water (Aqua), Prunus Persica (Peach) Kernel Oil, Prunus Amygdalus Dulcis (Sweet Almond) Oil, Alcohol, Simmondsia Chinensis (Jojoba) Seed Oil, Hydrolyzed Beeswax, Rosa Moschata Seed Oil, Olea Europaea (Olive) Oil Unsaponifiables, Sedum Purpureum Extract, Glyceryl Stearate SE, Euphrasia Officinalis Extract, Xanthan Gum, Sodium Beeswax.